Memorial Day is a United States federal holiday that is observed on the last Monday of May (observed in 2008 on May ). It was formerly known as Decoration Day. 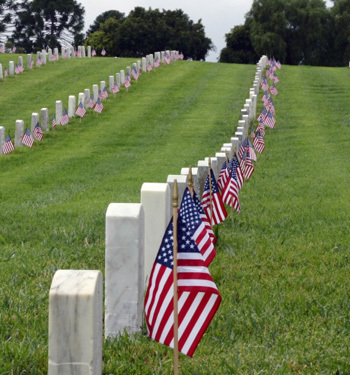 This holiday commemorates U.S. men and women who have died in military service to their country. It began first to honor Union soldiers who died during the American Civil War. After World War I, it was expanded to include those who died in any war or military action. Virginia has a transportation funding crisis. We need your help! There is a transportation funding crisis in Virginia. Below is a link to the website of “It’s time- Virginians for better transportation”. See how this crisis is effecting everyone of us. Please Click Here for information on the transportation funding crisis and on how to write your legislators to address this pressing problem. The Greater Wards Corner Partnership will be meeting this evening, Thursday, May 22nd at 7:00 P.M. at the Norfolk Workforce Development Center,(next to the Kroger Supermarket) Room 210. State Senator Ralph Northam will be the guest speaker. Also there will be a short presentation on how Norfolk assesses real estate. The Norfolk Police Department has launched Crime View Community, an interactive crime mapping website that allows residents to view certain crime statistics by location and time. CrimeView Community is an interactive crime mapping program that allows the user to search the City of Norfolk by address, civic leagues, police precincts as well as proximity searches to landmarks in the City of Norfolk for certain types of crimes that have occurred over the previous one hundred twenty days. The website works remarkably well. You can search by civic league, police precinct, sector, planning district, ward, or zip code. Unfortunately they did not include a way to search the entire Partnership/Taskforce area with one search. Nonetheless, everyone is encouraged to utilize CrimeView to stay informed of crime in their area. Pilot Online reports that an elderly woman was taken to a hospital after her car hit the Rite Aid store on the northwest corner of Granby Street and Little Creek Road. It is suspected that the lady hit the gas pedal rather than the brake. The 86 year old woman suffered minor injuries and the building was undamaged. The Bureau of Community Outreach in partnership with Keep Norfolk Beautiful will host a TAG-OUT Paint-Out and Clean-up on Saturday, May 24, 2008 to clean up and paint over graffiti as well as to clean up several neighborhoods in Norfolk. The event, scheduled for 10am-12pm, will begin in Huntersville—a Project Focus neighborhood. Other neighborhoods are slated for clean up as well. 150 volunteers are expected to participate. City staff will provide materials and instruction for the graffiti removal and paint-out. You are currently browsing the Wards Corner Now - Wards Corner, Norfolk, Virginia blog archives for May, 2008.